Knights of Creativity Spirit & Ale: How many words are in your journal? On this day in 1884, the first portion, or fascicle, of the Oxford English Dictionary (OED), considered the most comprehensive and accurate dictionary of the English language, is published. Today, the OED is the definitive authority on the meaning, pronunciation and history of over half a million words, past and present. 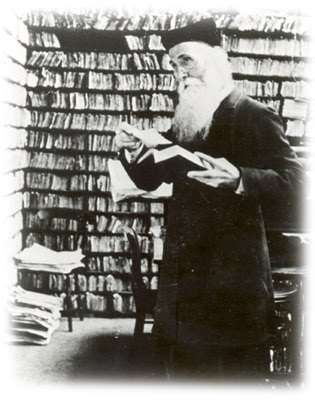 Plans for the dictionary began in 1857 when members of London's Philological Society, who believed there were no up-to-date, error-free English dictionaries available, decided to produce one that would cover all vocabulary from the Anglo-Saxon period (1150 A.D.) to the present. Conceived of as a four-volume, 6,400-page work, it was estimated the project would take 10 years to finish. 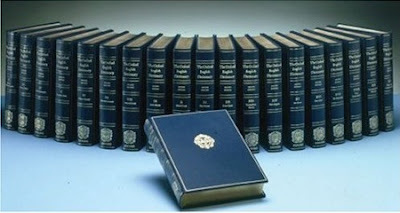 In fact, it took over 40 years until the 125th and final fascicle was published in April 1928 and the full dictionary was complete--at over 400,000 words and phrases in 10 volumes--and published under the title A New English Dictionary on Historical Principles. Today, the dictionary's second edition is available online to subscribers and is updated quarterly with over 1,000 new entries and revisions. At a whopping 20 volumes weighing over 137 pounds, it would reportedly take one person 120 years to type all 59 million words in the OED. • noun 1 (in the Middle Ages) a man raised to honourable military rank after service as a page and squire. 2 (in the UK) a man awarded a non-hereditary title by the sovereign and entitled to use ‘Sir’ in front of his name. 3 a chess piece, typically shaped like a horse’s head, that moves by jumping to the opposite corner of a rectangle two squares by three. 4 (also knight of the shire) historical a gentleman representing a shire or county in Parliament. 5. A good man or woman who Thinks, Drinks, and is Merry! Nice one B.. I pass this house most days..in North Oxford city..where Murray lived and did all this work, in a sort of outhouse in the garden. I will try and take a pic of the house and Blue plaque outside for you. Its and incredible body of work that still goes ontoday in the city. Thanks for the blogs... i will try and join in properly soon when my computer is mended and stops crashing. The OED is still the best source of my education. I used to read it in third grade when I got bored in class. I almost failed the grade, but I was light years ahead in my learning!